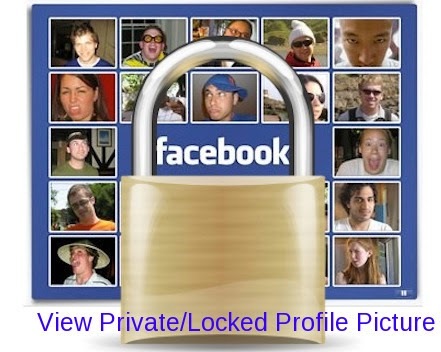 Hi friends, Today am going to tell you a simple trick on how to open or view Private / Locked profile Facebook pictures in Fullsize. we know that there is Profile Photo privacy option in Facebook. Boys are always crazy to see girls images in Facebook, thats why girls are making their profile photo private, so that other people are not able to see their profile pic, if you want to view a private photo from Facebook Profile in Full size, then follow the steps. Log into your Facebook Account, and Go to the Private Profile which you want to see full size profile photo. in Google Chrome, then select copy image URL. in Mozilla Firefox, then select View image. Copy the image URL and paste the address in the new tab. Remove /s160x160 and Press Enter, you will see full size image, or you can remove t1.0-1/c0.43.160.160/p160x160/ and hit enter. By using OpenDp website, you can view private profile picture of anyone’s profile pictures in Facebook. Enter the Profile ID of the person who kept in private. Click on OD button and you will get full size photo of private profile.